Win a car, win a bike, win a caravan, you can even win a boats. Here you can enter competitions to win any form of transport you can think of. 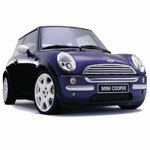 Win a choice of dream cars including a Porsche, McLaren, Mercedes, BMW and lots more Closing Soon! Register/log in and purchase a ticket to enter. Tickets start at just 85p! Win 1 of 3 x 2 buckets, 2 grit guards & Ultimate Wash & Wax Car Shampoo NEW!Closing Soon!